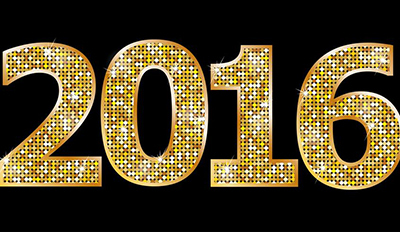 We wish you a very happy and prosperous 2016! There is a lot of great business news in the Spokane/Coeur d'Alene region and you can count on How's Business to bring it to you every week. Bill Tierney has lived in the Spokane area since 1985. He worked in the grocery industry for 21 years and has worked as a mortgage loan originator since 1999. Bill is a Success Coach, having started his Ontological Coaching practice in 2011, and is currently participating in a one-year coach training program with Accomplishment Coaching in Seattle. Ontology is the study of being. Ontological coaching helps individuals to shift their being in order to create the results they are seeking. Currently Bill is coaching several individuals and two groups: True Self Discovery and Breakthrough Accomplishment which meet at the Marycliff Center. He also facilitates half-day workshops every 2 months at the Focused Fitness Community Center in Spokane Valley. Bill is currently offering free 3-hour introductory Success Club workshops. Success Club groups meet throughout the year and provide structure for planning, accountability and coaching. Members are individuals who are ready to take their results to levels never before experienced. For more information about one-on-one coaching, True Self Discovery Group or the new Success Club, contact Bill at 509-230-5152, email at BillTierneyCoaching@Gmail.com or at www.BillTierneyCoaching.com. STCU approved $1.1 million in low-cost emergency loans in the month following the November 17 windstorm that pounded the Inland Northwest. Responding to the crisis that left 200,000 people without power, STCU announced the day after the storm that it was offering personal loans as low as 1.99% annual percentage rate, depending on applicants' credit history. Called 'Get-it-fixed,' the loans were essentially a break-even proposition for the not-for-profit credit union, said David Flood, Vice President of Lending. Collateral was not required, and the loan simply had to be storm-related to be eligible. STCU members and non-members were welcome to apply. The day after the storm, STCU staff began talking about the best way to help those affected, Flood said. "One of our colleagues suggested an unsecured emergency loan at a low rate. We met that morning and within a couple minutes decided to move forward and we had it ready to go by the end of the day," he said. Applications were accepted through December 18 to give homeowners a chance to see what expenses would be covered by insurance and where they'd help filling financial gaps. 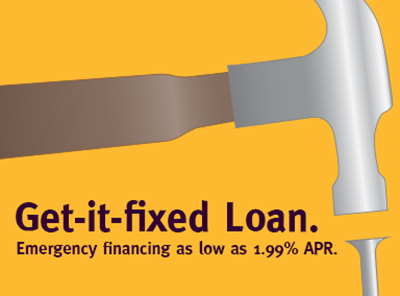 STCU approved more than 221 loans, from $300 to $20,000. Replacing spoiled food was a common use for the money, along with roof and fence repairs, tree removal, generator purchases, and covering hotel and restaurant expenses that many residents had covered with credit cards. STCU has 18 branch locations throughout Eastern Washington and North Idaho. Six were unable to open the day after the windstorm, and one remained closed through the end of that week. Founded by educators in 1934, STCU is a member-owned, not-for-profit cooperative with more than 146,000 members, $2.1 billion in total assets. According to Spiceologist CEO and Co-founder Pete Taylor, 2015 was an incredible year for his spice business. Spiceologist did their first million dollars in sales and was accepted into Williams Sonoma, where their spice block was the 9th best selling gift item in the national chain. The company's spices are also available at World Market, Sur La Table and other locations. They also opened their first retail store of 8,000 square feet in a building at 125 S. Cowley, in the University District. They published their first E-Book - Spiceologist's Holiday Cookbook. You can get yours free at their website spiceologist.com. Spiceologist was co-founded by Pete Taylor, an executive chef and Heather Scholten, a food blogger, in May 2013. The two foodies have built the brand into a nationally recognized rub and spice company. You can learn more about Spiceologist and find their other retail locations at their website spiceologist.com. 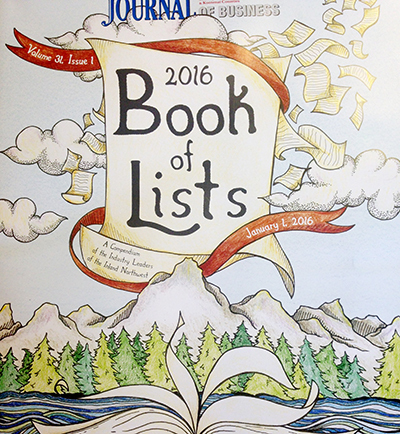 The Spokane Journal of Business 2016 Book of Lists is hot off the press full of valuable information on businesses in the Inland Northwest. It was mailed to Journal subscribers and is available for purchase at the Journal of Business offices at 429 E. Third Avenue. This is the 30th year the Journal has published this 'compendium of Industry Leaders of the Inland Northwest.' The Book features comprehensive lists of major businesses and institutions in a variety of categories including Professional Services, Business and Industry, Services and Education, Real Estate and Construction and Health Care. After many years in business as Heiskell MacGillivray & Associates, PS, the firm has a new name, new logo and a new shareholder. The firm recently launched its new brand as HMA CPA, PS, complete with a redesigned logo and website. Visit www.hmacpa.com to see the changes. The firm is pleased to announce that Laura Hays has become a shareholder, joining Lenore Romney and Kevin Sell in that capacity. Laura previously served the firm as senior manager and will now bring her skills to bear in a greater leadership role. HMA CPA, PS focuses on providing professional, attentive customer service with a high standard of excellence and integrity. Sheila Boyce has joined ALSC as an Interior Designer. With over 27 years of experience, Sheila's background includes educational, medical, corporate, retail and residential design. She is currently on ALSC's team for several projects at Gonzaga University including the Boone Avenue Mail Services Center. Forest Wilson has joined ALSC as a Revit Specialist. His current assignments include the Washington State University Soccer Stadium in Pullman and the North Idaho College Student Wellness & Recreation Center in Coeur d'Alene. With offices in Spokane and Coeur d'Alene, ALSC Architects is one of the region's leading architectural firms. The company provides professional planning and design services for projects ranging from education to retail, and military to sports and recreation. Founded in 1948, ALSC Architects employs over 30 professionals. More information about ALSC is available at www.alscarchitects.com. Michael Jackson has been named D.A. Davidson & Company's vice president, financial adviser, and co-branch manager of its Spokane office. He was previously a member of the company's individual investor group. Cobra Building Envelope Contractors has just completed a new 11,500 square foot corporate headquarters building on the West Plains, in the Freeway West Commercial Park at 4414 N. Dowdy Road. For over 30 years, Cobra has been a leader in the building industry. From their roots as a niche general contractor in the Northwest, Cobra has evolved into a nearly full scope building envelope contractor that competes throughout the Western United States. With one of the largest open shop workforces in the West, Cobra can provide the best multi-scope project teams in the industry. Cobra can strengthen any construction team with their best in class safety record, unique project experience, and relationships built over three decades. This is a great way for Spokane to kick off the New Year and find ways to reach those New Year's Resolution Fitness Goals. The Spokane Health & Fitness Expo will be at the Spokane County Fair & Expo Center Saturday, January 9 and Sunday, January 10. You'll find everything health and fitness under one roof. Included in this inaugural Expo: Free Fitness Classes on the Athleta Main Stage (sign up online at SpokaneHealthFitExpo.com), Meet Fitness Experts on Yoga, Pilates, Spin, Bar, Strength Training and more. Free Fitness Tests by A Personal Fit, Army National Guard - 30' Rock Climbing Wall. Shop fitness equipment, apparel, supplements and more. There will be free samples and a wine bar too. Special New Year pricing is going on now for SCORE's upcoming workshops. Price for four prepaid workshops is $80, regular price is $125. Per workshop, now only $25 each with $15 for an additional partner, regular price $40. All workshops are on Wednesday mornings from 8:30 am to 12:30 pm. - Quickbooks Financial Management, January 27. Location of workshops is the SBA/SCORE Training Room, 801 W Riverside, Suite 444.